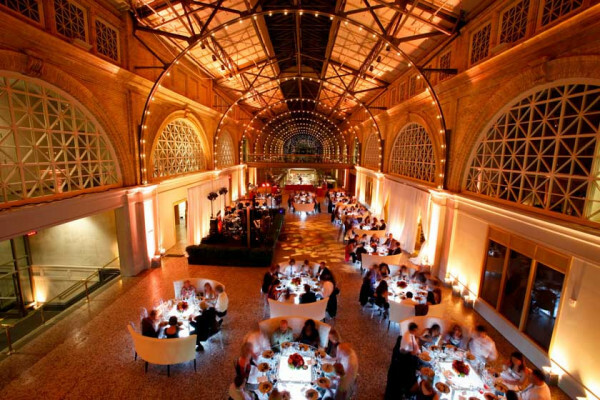 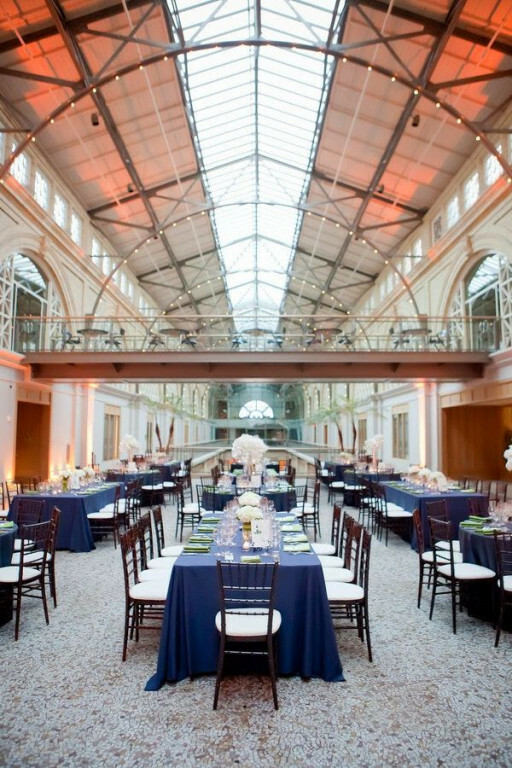 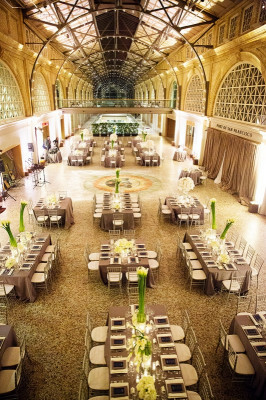 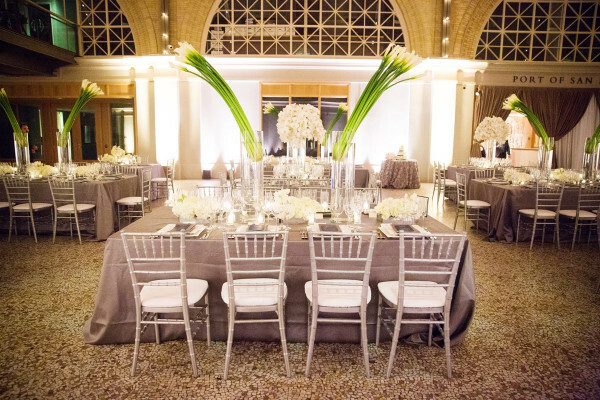 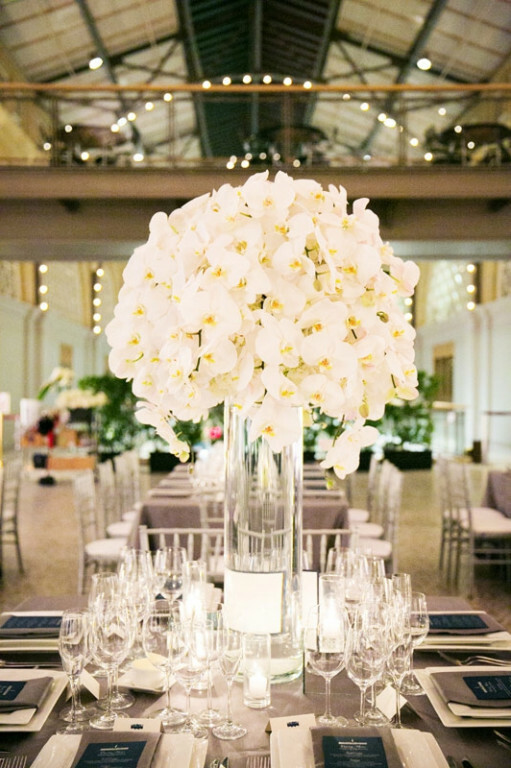 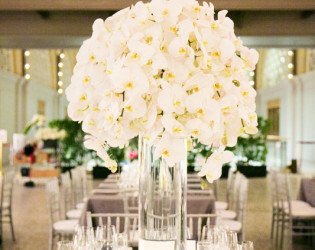 Capture the spirit of San Francisco with a glorious gala in this Grand Hall. A Famous City's most Famous Landmark' - the fabulous Ferry is modeled after the great marketplaces of Europe and located on the colorful San Fran waterfront. 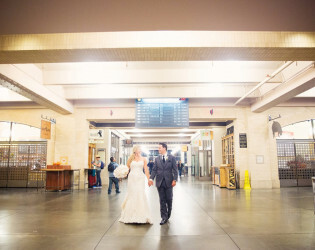 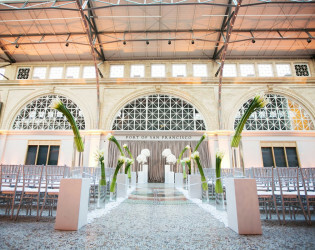 Located on the waterfront, the Ferry Building offers a unique site for special events, weddings and corporate receptions. 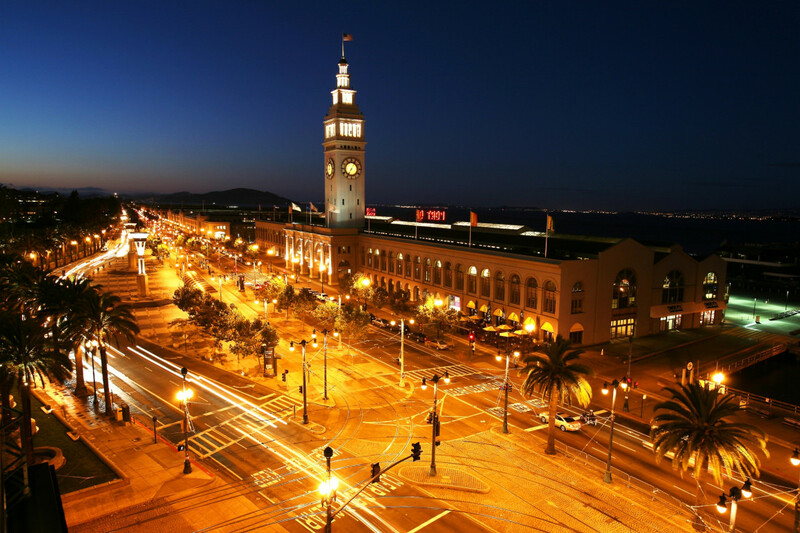 The dramatic clock tower on top of the building has been a San Francisco icon since the turn of the 20th century. 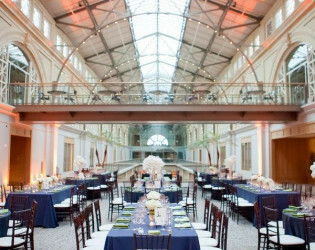 Opening in 1898, the Ferry Building became the transportation hub for anyone arriving by train from the east, as well as those arriving by ferry from the East Bay and Marin. 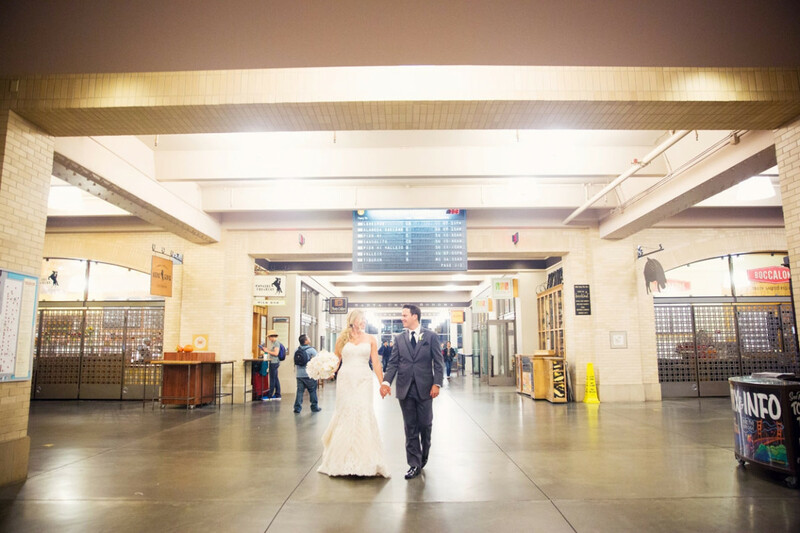 From the gold rush until the 1930s, arrival by ferryboat became the only way travelers and commuters could reach the city. 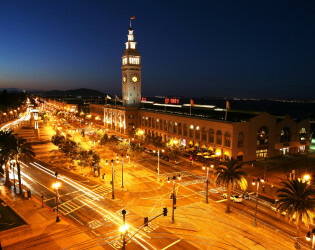 The opening of the bay bridge in 1936, and the golden gate bridge in 1937, along with mass use of the automobile, rendered the daily commute by ferryboat obsolete. by the 1950’s, the Ferry Building was used very little. 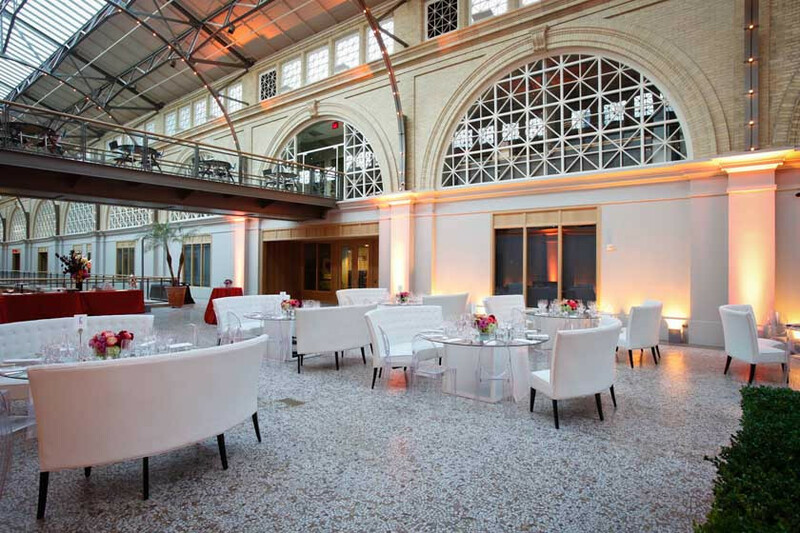 Renovation on the building began at the end of the 20th century and in 2003 a magnificently restored Ferry Building opened. 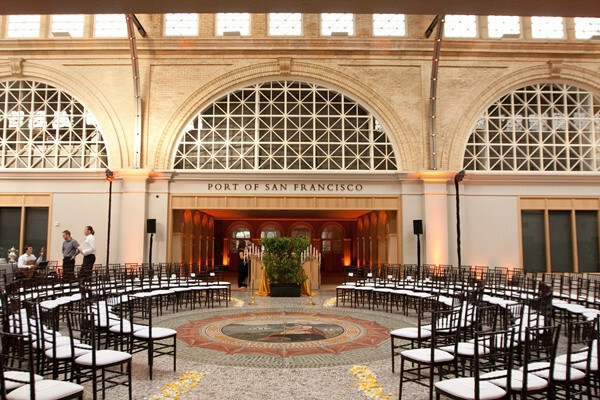 The exterior and main public hall have been restored to their original grandeur for use by ferry passengers and the public at large. 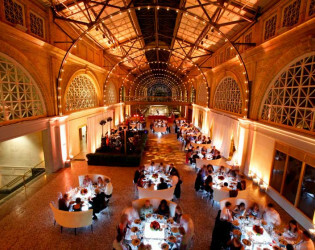 The central nave is home to The Marketplace a distinctive space for bringing together under one roof the greater bay Area’s agricultural wealth and renowned specialty food purveyors. 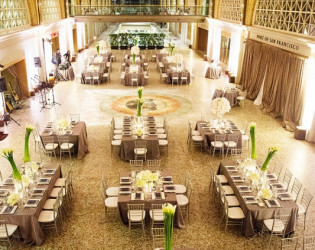 From the Embarcadero you ascend an elegant stone staircase into the historic Grand Hall, the second floor event space which is open and airy. 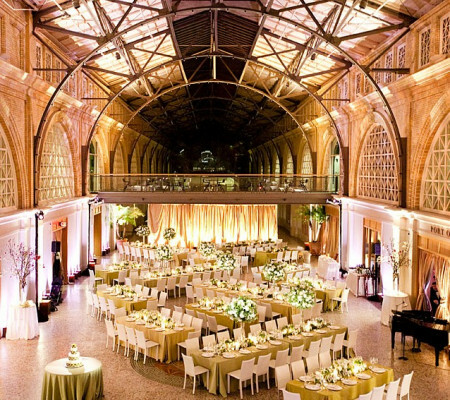 Giant steel beams soar two stories above revealing the architecture of this landmark building. Intricate metal arches run the length of the building and are often highlighted with dramatic event lighting. The carefully restored tile floor features a striking mosaic of the Great Seal of the State of California in warm shades of greens and rusts. The 5200 square foot Grand Hall provides versatile and inspiring event space. 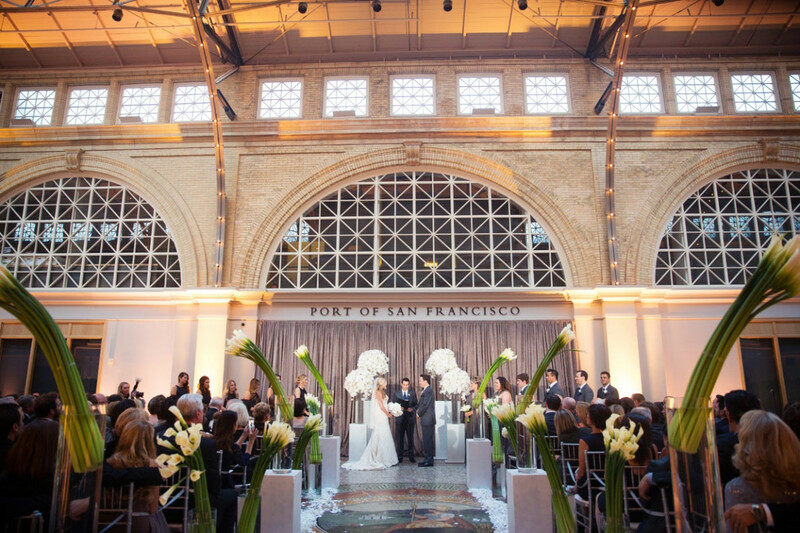 Additionally, small intimate events can be held in the Port Commission Hearing Room overlooking the water with a sweeping view of the Bay. 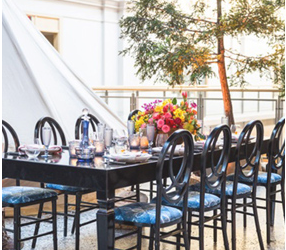 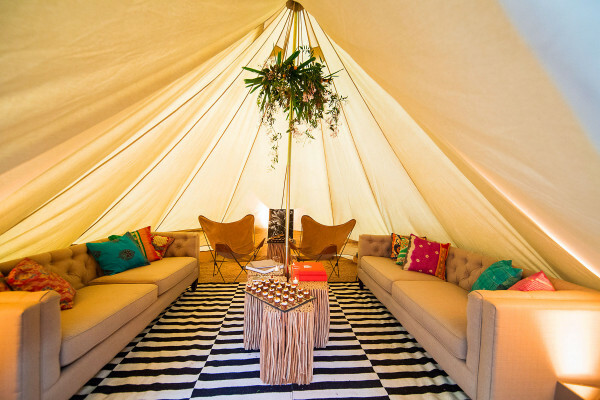 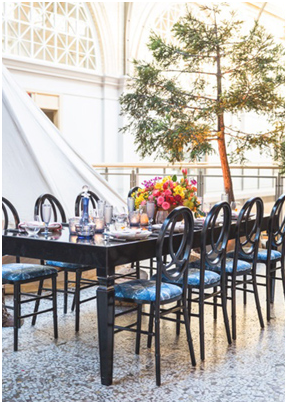 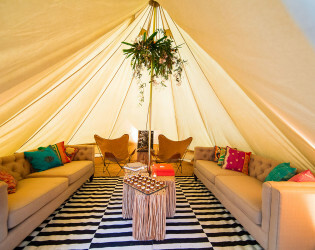 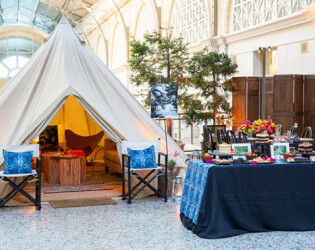 Florals: Brown Paper Design | Tents & Lounge by Shelter Co.
We love a venue that you can put indoor tent lounges in! 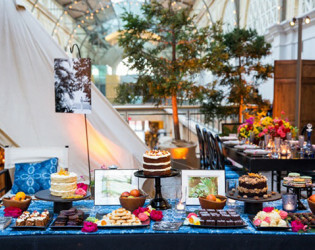 Floral byBrown Paper Design; Tents & Lounge by Shelter Co. 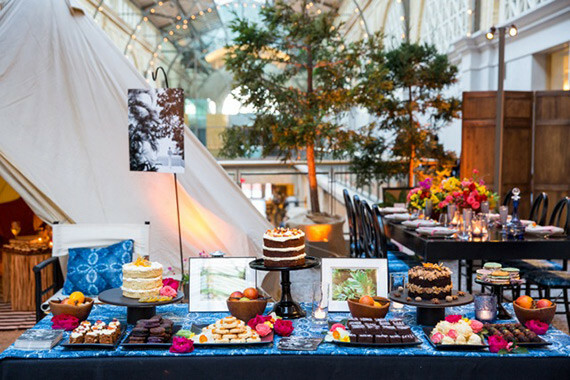 The unique venue is large enough to get creative with indoor glamping lounges! 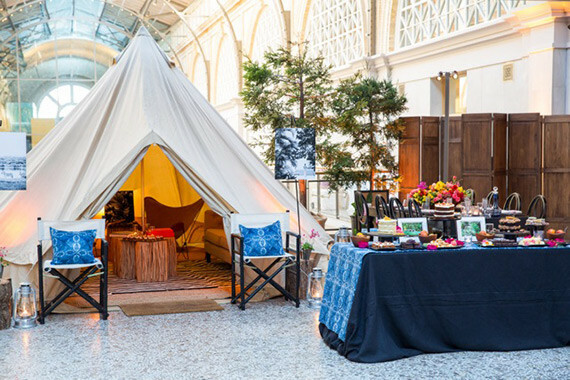 Floral: Brown Paper Design; Tents & Lounge by Shelter Co.
Paula LeDuc Fine Catering is the Event Manager for the Ferry Building and the exclusive caterer for the site. 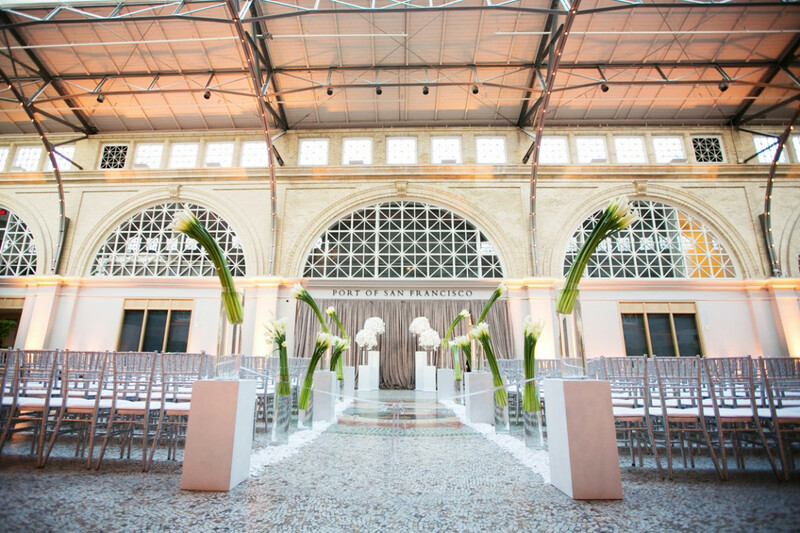 The structure of the historic San Francisco venue provides a dramatic backdrop. 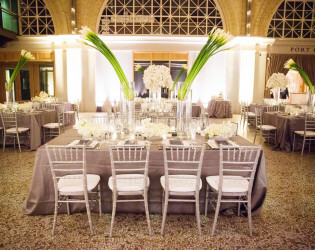 Design by Amy Nichols. 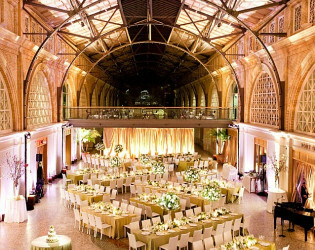 The high ceilings, open views to the artisan food vendors and mosaic of the Great Seal of the State of California, makes it a striking and unique venue. 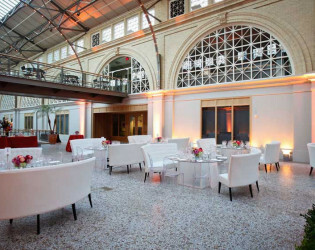 The San Francisco venue will accommodate seated dinners for up to 400 or cocktail receptions for between 600-800 guests. 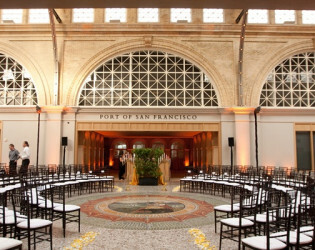 Located on the waterfront, The Ferry Building offers a unique site for special events, weddings and corporate receptions. 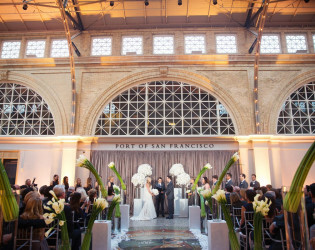 The dramatic clock tower on top of the building has been an icon of San Francisco since the turn of the century.